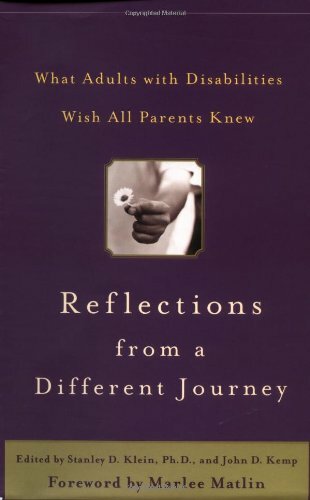 Reflections from a Different Journey: What Adults with Disabilities Wish All Parents Knew by Stanley Klein and John Kemp. This book presents 40 stories by successful adults who grew up with disabilities. The book then offers parents of children with disabilities inspiration and advice from those who’ve been there. Pp. 224.